So it appears that the message is finally getting out there that Pilates isn’t just about stretching and lying on the floor. In fact, Sylvester Stallone, the original tough guy himself is regularly seen posting his Pilates workouts on social media! Take a look at Joseph! He was so proud of his body! Not so much from an ego perspective, but that he had a perfectly balanced and developed body to provide an example for the rest of humanity to follow. He really was very ambitious!!! Getting your body muscled up the Pilates way will give you toned muscles that are more defined, as well as getting stronger and more capable. There are a few fundamental differences between traditional strength training and Pilates. 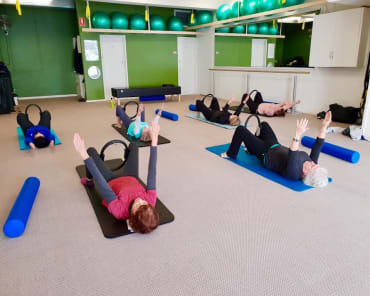 Pilates focuses on developing the deepest muscles in the body, your postural muscles, to create a strong foundation for your spine and your joints. Traditional strength training focuses on the bigger “outer” muscles of the body ...sometimes called the mirror muscles. 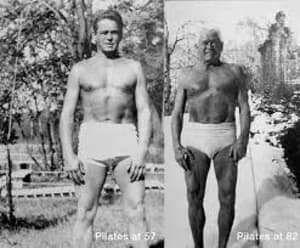 But the big difference between Pilates strength training and traditional is that we work the muscles at length, creating long, strong muscles with mobility and flexibility in the body, rather than short, tight muscles you can see with traditional strength training. 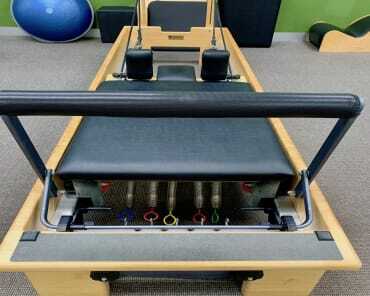 Pilates also works the body from the deepest muscles first and then builds strength from that base. It’s a bit like building a house. You wouldn’t put the roof tiles on if you hadn’t constructed the house frame! Well, it’s the same with your body. You can look strong from the outside but be very weak on the inside. Pilates provides the strong foundation necessary to then be capable of developing functional strength, without any stress or wear and tear on your spine and joints. 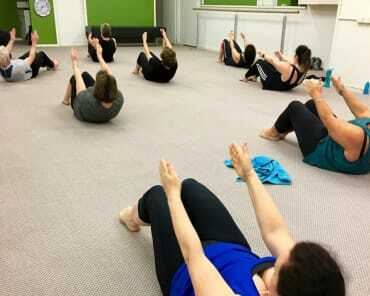 Pilates based strength, prevents injuries, is great for joint health and keeps your spine long, strong and young! Your muscles are part of what is called the musculo-skeletal system. Put simply, your muscles and bones are a system in your body that rely on each other to create movement, give your body some form and structure...among many other things. As the muscle pulls on the bone, it creates a reaction in your bone which makes it stronger. Osteoporosis is a condition in which the bones become fragile and brittle, leading to a higher risk of fractures (breaks or cracks) than in normal bone. It is debilitating, painful and prolific. One of the best ways to either prevent osteoporosis or slow down its progress is strength training. But to get the full benefits of strength training for your bones, you must be consistent and do it for an extended period of time. If you have osteoporosis, then Pilates strength training should be your number one activity. 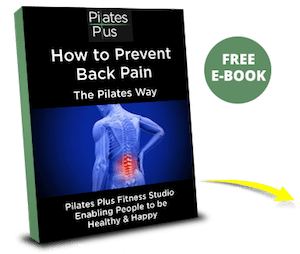 Remember that in Pilates we train and develop ALL the muscles in the body, including your spine muscles, which is one of the most common areas for osteoporosis to occur. Having a strong mobile, pain free spine should be the aim of everyone, and Pilates will enable you to achieve it!